Please tell us about your background, your discipline and about how you got involved in publishing. I was trained as an astronomer, first in the Netherlands and later at Columbia University where I studied with a Fulbright Scholarship. After my PhD I became the astronomy publisher at Wolters Kluwer in a division which is now part of Springer Nature. 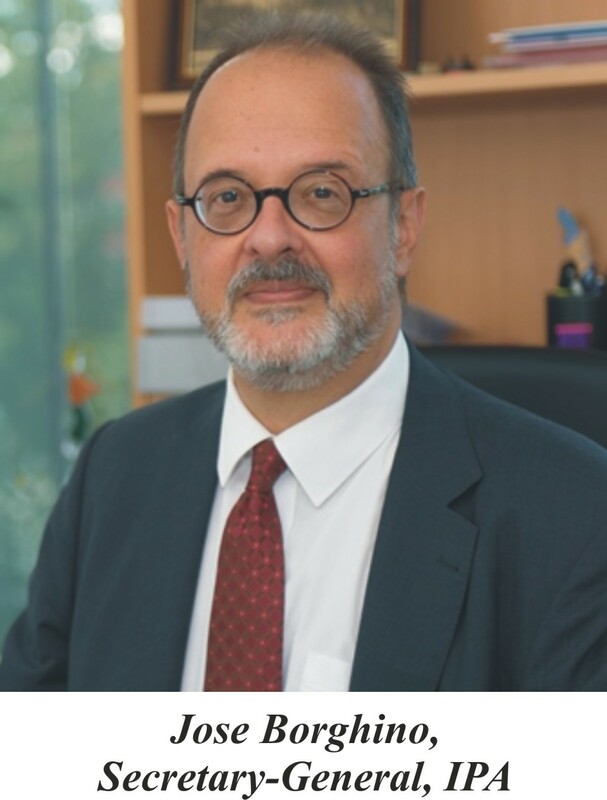 In 1995 I joined Elsevier and I have been there ever since in many different roles, working out of our Amsterdam, Tokyo and Frankfurt offices. Talk to us about key areas of your work as Senior Vice-President of Global Academic Relations at Elsevier, the world's leading provider of scientific, technical and medical information solutions. publishers and more broadly facing the key players in the information industry. I also actively engage with academic,research and government leaders. I am also a strong proponent of our Diversity& Inclusion agenda, and now I serve as the executive sponsor of our LGBTI chapter, Elsevier Pride. You have been IPA President since 2016. Share with us up to three major highlights of your two year tenure. 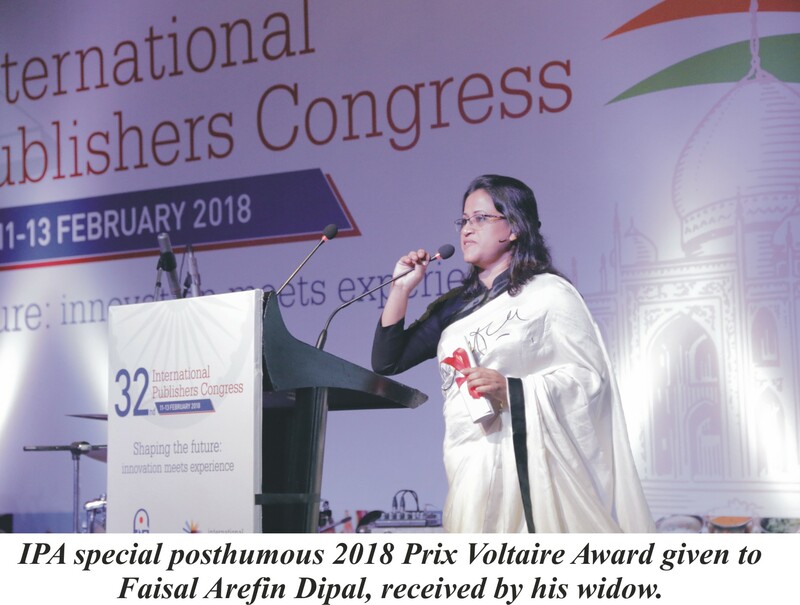 The IPA special posthumous 2018 Prix Voltaire Award was given to Bangladeshi publisher Faisal Arefin Dipal. He was hacked to death inside his office at the hands of suspected religious extremists. His widow received the award in front of over 200 publishers at the IPA Congress in Delhi that proved a terribly sad and moving moment. That moment reminded us all of the brutal toll that some publishers pay fighting for their freedom to publish all types of works. The launch of the joint United Nations and IPA Sustainable Development Goals Book Club. 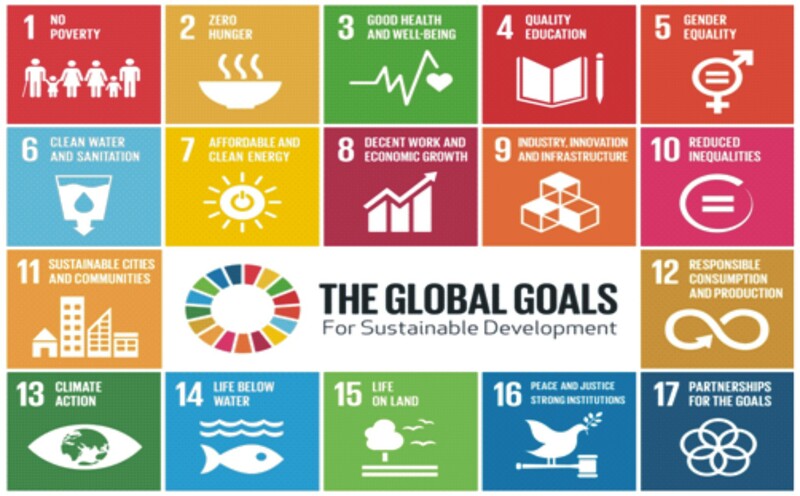 Announced at the UN’s General Assembly in September 2018, this collaboration will result in a list of books for children and young adults around each of the UN Sustainable Development Goals in all 6 UN languages. This means kids in Peru can read in Spanish about the importance of clean water and girls and boys in China can read in Chinese about gender diversity. The IPA has also put the value of publishing back on the agenda. As an industry, we sometimes fail to articulate the vital role we, as publishers, play in society. Over the past two years, we have been working hard to articulate what we do and why we do it in a clearer and more meaningful way. I am glad to hear the IPA is demystifying publishing. 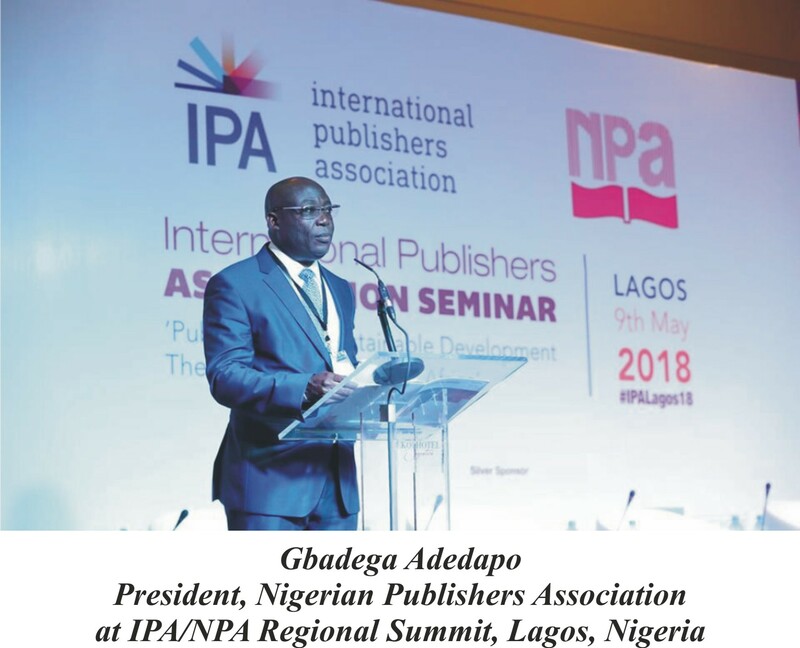 In my interview with him, Gbenro Adegbola of Nigeria’s First Veritas (education publishing), identified lack of understanding about publishing as a major impediment to raising necessary capital from banks. In a nutshell, what is publishing? Good question. Educational publishers improve educational outcomes and help to make nations more competitive. Literary publishers further elevate a nation’s culture and fuel intellectual debate. Science publishers facilitate better research outcomes and contribute to scientific breakthroughs and medical advances. In short publishers add enormous value to society and we should not be too shy to shout about that. 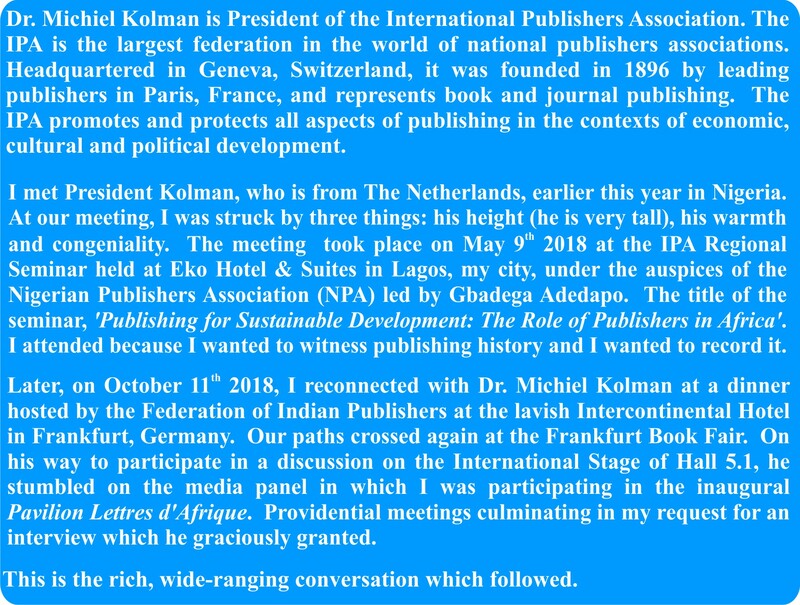 In your opinion, based on what you have witnessed during these past two years as IPA chief, what kind of future awaits scholarly communications in the four corners of the globe? What are the key areas of hope? And the major areas of concern? The fundamentals are positive and strong with increasing investments in Research and Development, and an ever-growing demand for services that can help find the right information and support better decision-making for health professionals and researchers. But a major area of concern, which applies to all branches of publishing and also scholarly publishing, is the perceived value which seems to be decreasing over time. But there is certainly hope as the STM (Scientific, Technical & Medical) publishers are very innovative. Science publishers offer services along the whole workflow of scientists, e.g. around data management. You have been quoted as saying that publishers are 'stewards of truth and quality'. Please outline the various ways in which they fulfil that role. Indeed we live increasingly in a world filled with information and it is not always easy to tell what information to trust,especially if you think of the issues around alternative facts and fake data. Luckily, publishers have been for centuries the curators of reliable information. This is true for STM (Scientific Technical & Medical) publishers who use the peer review system to check the soundness of a research, select only the best articles, and then work with the authors through on average two or three revisions to further enhance quality. It is also true for literary publishers, who select the very best manuscripts and through the editorial process further enhance quality. 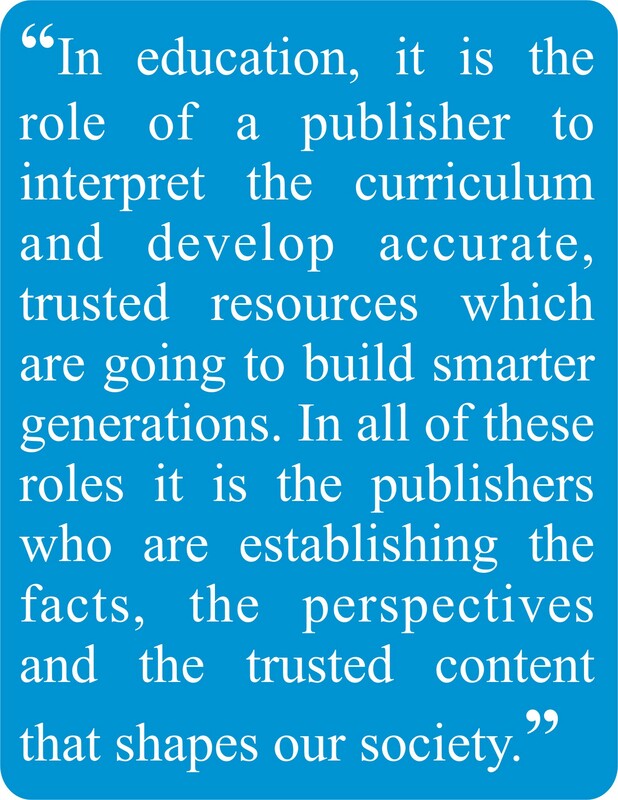 In education, it is the role of a publisher to interpret the curriculum and develop accurate, trusted resources which are going to build smarter generations. In all of these roles it is the publishers who are establishing the facts, the perspectives and the trusted content that shapes our society. As a result, publishers produce reliable publications, hence they are the stewards of truth and quality. This duty to be stewards of truth and quality has been on publishers for centuries yet many tech companies are only beginning to understand the responsibility they have, let alone to embrace them. 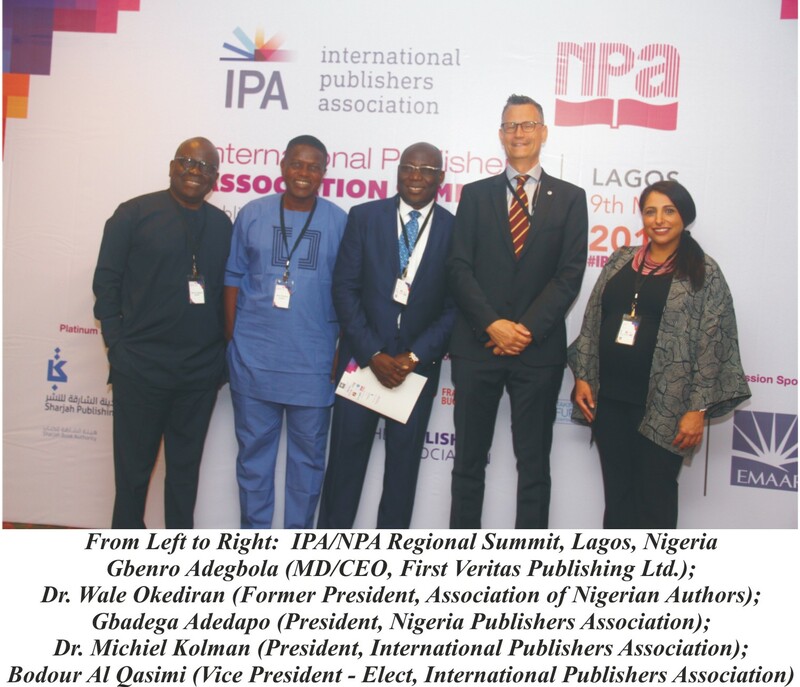 What were your expectations and that of the IPA when you decided to hold the Regional Summit of the IPA in Lagos, Nigeria this year? The summit was a perfect occasion to share experiences with and among African publishers and to explore how to best achieve sustainable development. What I liked about the summit, apart from the high turn-out and the positive buzz in the room, was that the African voice was heard loud and clear. 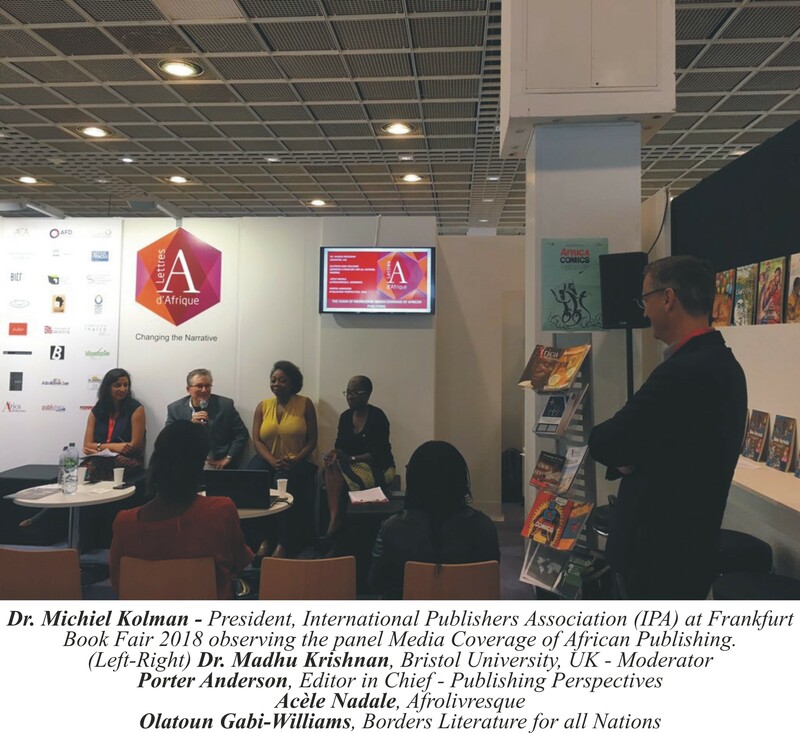 There was the occasional participant from outside the continent but all in all the panels, speakers and participants in the discussions were African publishers and other members of the book chain, which was a great thing, and will inform IPA’s work going forward. Please break down this statement for us and explain how the IPA is meeting the challenge as you state 'head on'. Copyright is and remains the bedrock of our industry. It secures the creativity of publishers, it enables the diversity of publications, it allows publishers to be innovative and to make the long-term investments such that they will be able to deliver high quality text books and learning solutions, outstanding literary works and trustworthy scientific and medical publications, today and in the future. Nevertheless, copyright is under attack from many sides with the seductive anti-copyright narrative: ‘information wants to be free’. But in the end, that narrative is fundamentally misleading and short-sighted. Copyright provides the framework which protects and encourages the creative sector. For example, it is because of copyright that educational publishers can produce innovative, high quality text books and digital learning solutions. We have seen in Canada how broad, blanket copyright exceptions for education produced detrimental effects on the local publishing industry. In the end it has resulted in substantially less choice of Canadian text books and an imported education for Canadian students from the US and abroad, which is less than they deserve. We also stepped up our engagement at the World Intellectual Property Organization (WIPO), where we are collaborating on a number of exciting industry projects. At WIPO we have been successful so far in preventing the copyright discussions from taking a wrong turn. But as I said in the quote you mention, the attack is sustained and we will need to continue to be vigilant. What sort of dangers does a website like SCI-HUB present to the STM industry? And what can be done about pirate sites? All piracy, either in digital or print, is theft and undermines the publishing ecosystem. This is bad for readers, authors and publishers. SciHub is a platform that was developed specifically to host stolen pirated content and should be tackled by legal action, as well as legal discussions with the ISP that provides access to this pirate site. But there is also a lesson in SciHub for science publishers: even scientists with legal access use SciHub because of its ease of use and access. It is therefore excellent that the STM publishers are already collectively addressing this issue of easier access and usage of the legal publishing platforms. Talk to us about diversity in publishing - an issue you personally champion. What are the trends and developments we should be following? Diversity and inclusion (D&I) is simply the right thing to do both for our individual publishing companies and for our industry. Society is increasingly recognizing our own diversity, so our customer base is also becoming more nuanced. Our industry should reflect this. We should be open for everyone and we should make everyone feel welcome and appreciated. There is definitely more room for women, people of colour, LGBTI folks in all parts of our industry and dare I say in our industry leadership. Having said that there is also a clear business case for diversity and inclusion. Companies that embrace D&I perform better financially and are also more innovative. That’s why I like the D&I initiative by the British Publishers Association where they introduced a charter, a program for mentors and interns, events, unconscious bias training,and ambitious targets, e.g. 50% of the leadership in the industry female in 5 years. But there is much more to do for us collectively in the publishing industry and that is an area where I personally will continue to contribute going forward. According to a 2018 The Bookseller article, you have called for publishers 'to shout more' about how they are innovating, rather than leave it to global technology companies to claim that space. Please clarify what you mean by this piece of advocacy. Publishers are often portrayed as old fashioned,linked to print and a bit frozen in the past. Nothing could be further from the truth. The publishing in industry enormous, it is the largest of all creative industries and it is vibrant, creative and innovative. You have to remember we provide crucial content for other industries. Think about it, so many movies are based on books! Yet, people still fail to see that our business has changed, and publishers are at the forefront adapting, experimenting and innovating. What I want to emphasise is real innovation that will enhance our lives and where publishers are leading these changes. For example, there are new business models in all parts of the industry. In STM, we have seen open access models, but also innovation in terms of Artificial Intelligence solutions for health professionals provided by publishers, and there are blockchain services supporting peer review in science publishing. In 2017 Digital Science launched Dimensions, a research information database that makes use of AI to automatically link publications with grants, policy, data and metrics. This year the company joined hands with Springer Nature and Amsterdam-based start-up Katalysis to test how blockchain technology might support the peer review process. A strong candidate for “Buzzword of 2018”, blockchain has so far powered the Bitcoin system. It is essentially a technology for decentralized, self-regulating data. You could see it as a ledger to which the members of a peer-to-peer network can add blocks of information, but single users are unable to modify what is already there. Scientists and publishers alike believe that blockchain might make the exchange of scholarly information more secure and transparent – and peer review less biased, but more visible and trustworthy. In trade publishing we are seeing new subscription services to access large amounts of books and newer community platforms being used as a springboard for new talent who might translate their content beyond books to movies and games. 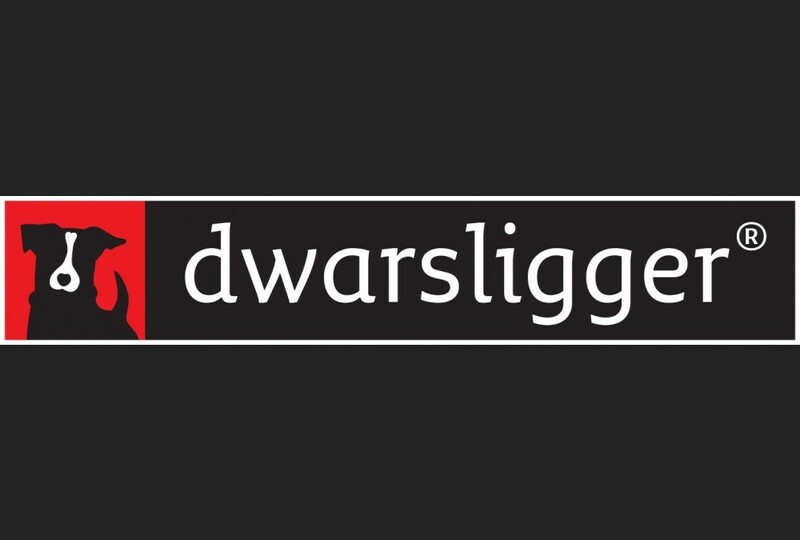 Another example is in The Netherlands, where publishers have introduced a brilliant new print format, ‘Dwarsligger’, a tiny, pocket-size, horizontal flipback that will now be introduced internationally, e.g. 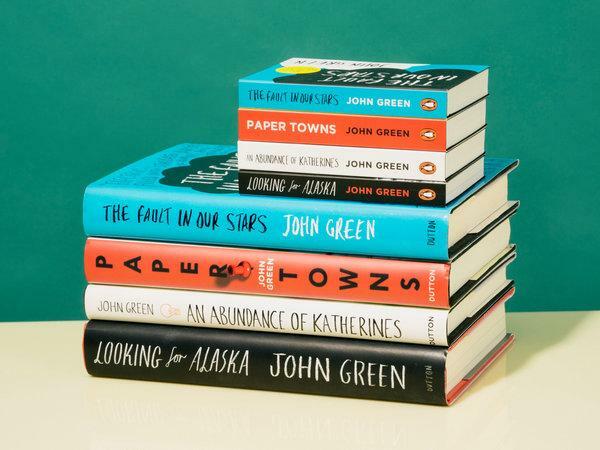 for the best-selling author John Green. We have lots to be proud of and we should definitely shout more about our accomplishments. Can you provide an example of the new subscription services for accessing a large amount of books? And please give an example too of a community platform currently used ‘as a springboard for new talent’. How do you measure the success of the IPA in speaking with a single and strong voice on behalf of such a vast and complex publishing industry? The publishing industry might be vast and complex but at the IPA we are certainly united around several key issues. We touched already on Freedom to Publish and Copyright, and we are also very passionate to fight illiteracy and to promote reading, not only for children but also adults. Over the last two years we have spoken with one voice on all these issues, in the traditional media, the social media, at conferences and workshops around the globe. 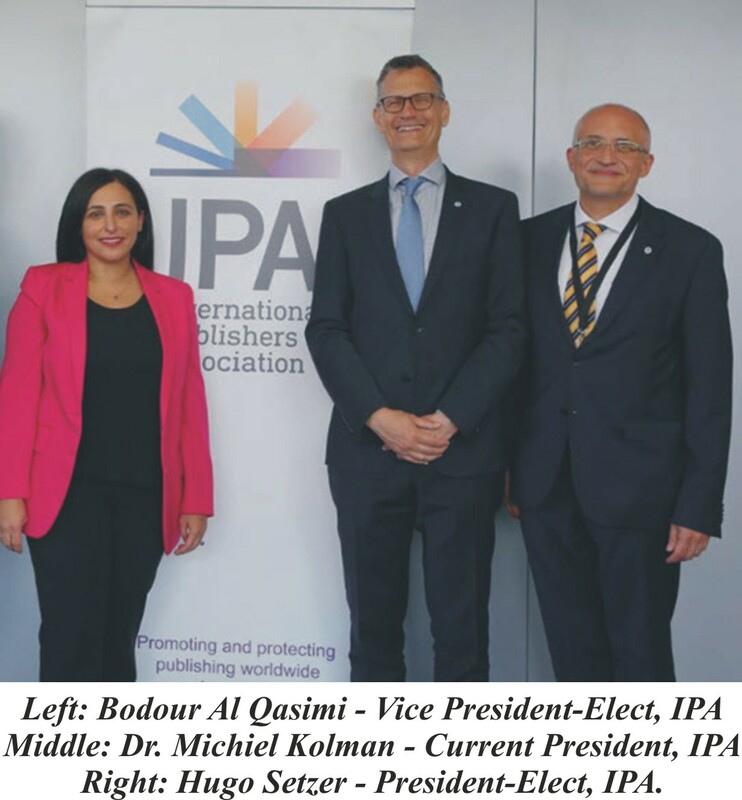 The IPA officers and members of the various committees have raised our profile and I think it is fair to say that the IPA has a strong voice in any debate around Freedom to Publish or Copyright. 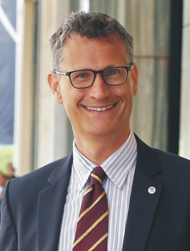 Hugo Setzer of Manual Moderno (Mexico) will succeed you as IPA President from January 1st 2019. That time is fast approaching. Your thoughts, your feelings about this. I am extremely happy with my successor, Hugo Setzer and also the incoming Vice President, Bodour Al Qasimi. 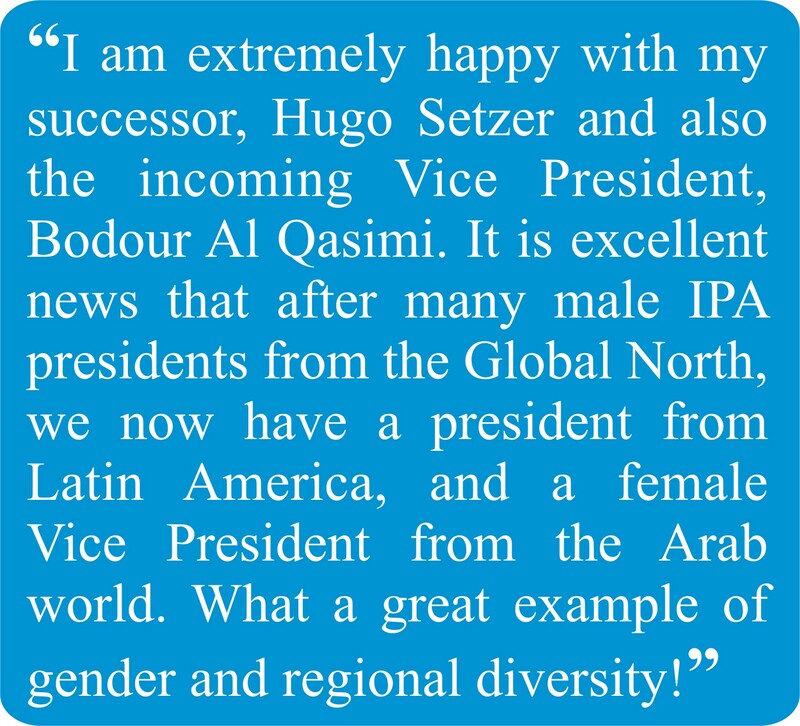 It is excellent news that after many male IPA presidents from the Global North, we now have a president from Latin America and a female Vice President from the Arab world. What a great example of gender and regional diversity! I will remain fully committed to the IPA and available to serve President Setzer, and later on President Al Qasimi where they see fit. There are a few specific projects and areas where I will certainly continue. I have accepted a special post to become IPA’s presidential envoy for diversity and inclusion in the publishing industry. Together with my Chief of Staff, Rachel Martin, I will also stay involved in the IPA-UN collaboration on the SDG Book Club. Very excited about that! 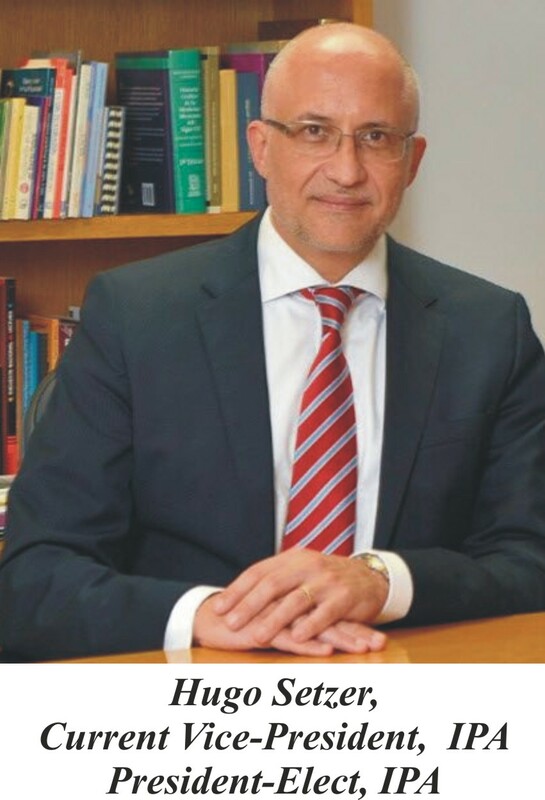 And now that I am stepping down as IPA President I will have much more time for my ‘day job’ at Elsevier. I am very fortunate that Elsevier supported me over the last two years with people, time and travel costs, such that I could spend a considerable part of my time on IPA affairs. Will you miss all the travel you had to do as IPA President? No! Going forward I hope to travel less– the last two years were pretty intense. And I hope to spend a bit more time with my husband, family and of course reading books! Michiel Kolman, It has been a pleasure. Thank you for coming on Borders. 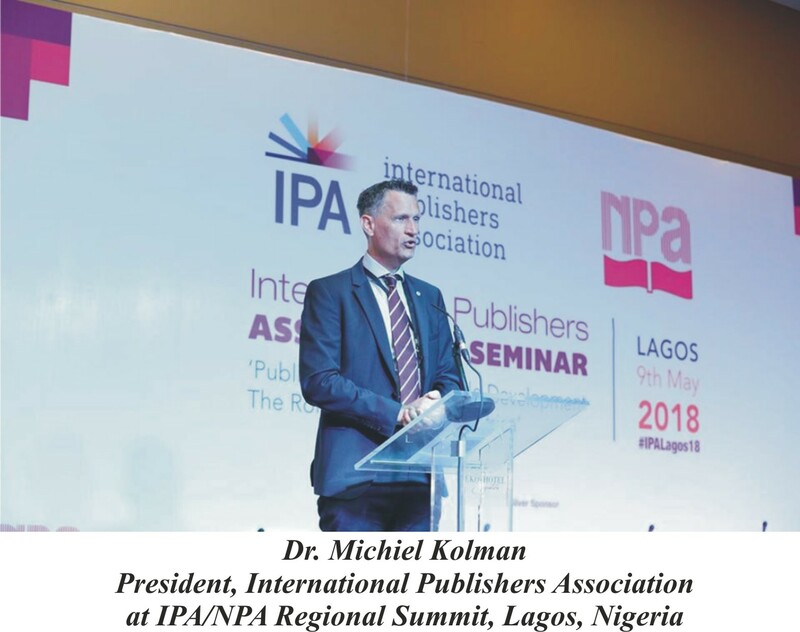 Posted by Bolaji Willoughby | 04.December.2018 13:36:08 I can't begin to try to wrap my mind around the daunting task of the International Publishers Association . 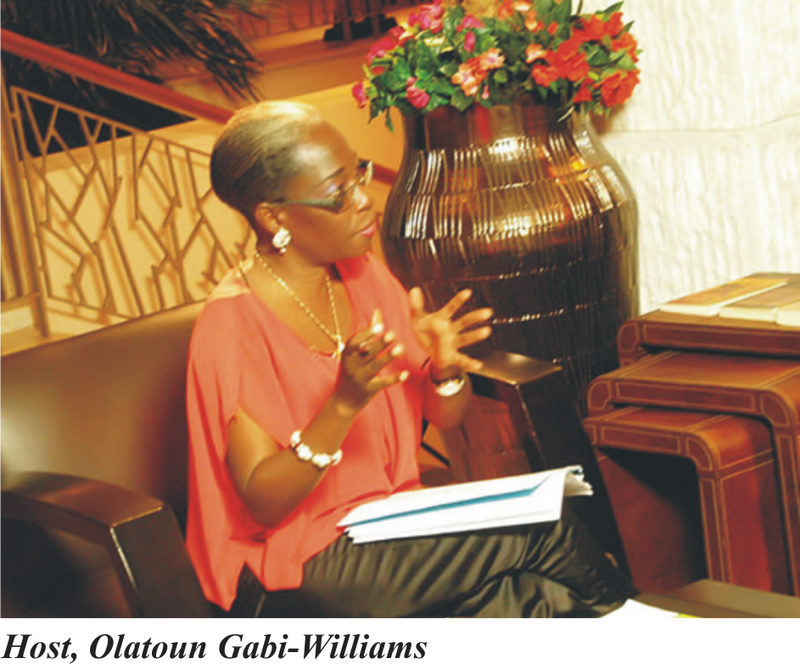 Kudos to all those involved including Olatoun Gabi-Williams the interviewer who through this documented interview has shed more light and awareness on the laudable work going on behind the scenes . Well done and a BIG thank you .